It seems Chad Massaker was destined to become a member of Cigar City Club (CCC). Several years ago, he found himself having impromptu run-ins with the owner, Julius Bolton, with only some awareness of his plan to open some type of new venue. Ironically, he also had existing friendships with members on CCC’s founding board. 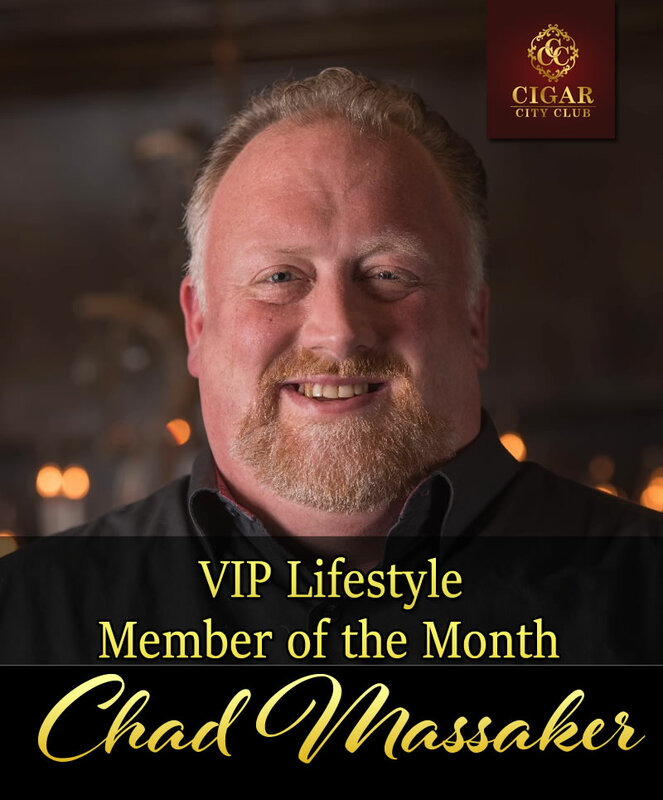 It’s no surprise Chad accepted the invitation to also join the team as a CCC board member shortly before its opening given his intermittent experiences working in high levels of the hospitality industry, being the founder of a cigar networking club and for his extensive knowledge in spirit and wines (currently holds the globally recognized Wine and Spirit Education Trust level 2 award, just 2 levels shy of becoming a sommelier). Chad has an eclectic background as military vet, with also martial arts and Information Technology (IT) roots. He started striking martial arts (Boxing, Taekwondo, Kick Boxing and Kung Fu) while in the Army, where he served for 4 years. At age 40, Chad took up Brazilian Jiu Jitsu, followed by Judo a few years later. Since then he has garnered numerous gold medals gaining national rankings in both sports. He is also the CEO and President of his 18-year-old IT business, Caceron. Caceron is a multi-award winning managed IT Service provider, giving IT support to small and medium businesses primarily in the Healthcare and Financial Services industries. The company provides help desk support and IT security services, high level/strategy consulting and is also an internet & telecom broker. Find more information at www.caceron.net. After attending an IT security conference presentation on the Dark Web, Chad learned that the #2 transacted crimes behind the illegal sale of guns was that of selling PEOPLE!!! The Dark Web enables international slave trade which Chad feels is an abuse of power and resources in his industry in which he is adamantly opposed. With this awareness, Chad formed a charity group, Aficionados Against Human Trafficking. The first product of this group occurred earlier this year with a Human Trafficking Charity Judo & Brazilian Jiu Jitsu tournament aptly named Tap Out Human Trafficking, inspired by the Tap Cancer Out organization. Chad plans to hold his event twice a year and continue to grow it. He is looking at doing one in West Palm Beach later this spring.